The largest private residential plot in Singapore, Braddell View is set to launch for a collective sale after receiving 80 percent of the owners’ consent. Braddell View is, in fact, the largest estate out of the 18 former HUDC estates in Singapore and was the last one to be privatized. It has a massive land area of around 1.14 million square feet and has a balance land tenure of around 61 years. This Braddell View site comprises of 2 separate plots with each having a size of 618,221 square feet and 524,055 square feet respectively. The reserve price for the Braddell View en bloc is being set at $2.08 billion or a land rate of $1,199 psf ppr – which includes the differential premium required to intensify the use of the land and also to refresh the land tenure to 99 years. Braddell View consists of a total of 918 residential and 2 commercial units. The residential units are made up of various unit types such as apartments (824 units in total), maisonettes (78 units) and penthouses (16 units) with sizes ranging between 1,453 to 3,369 square feet. 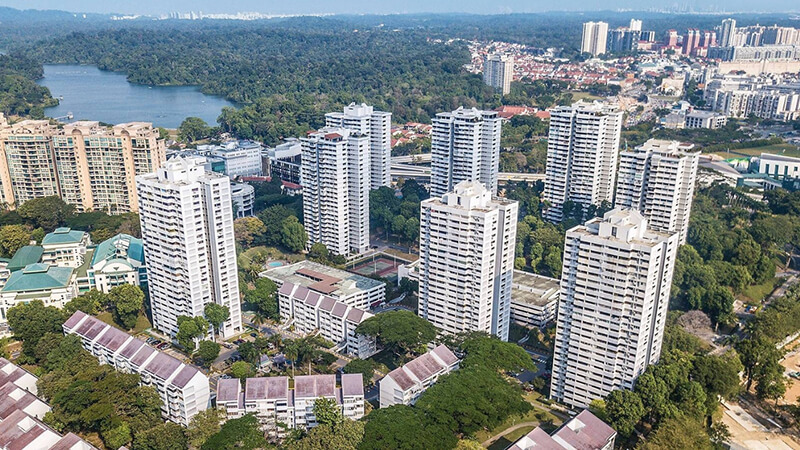 Based on the reserve price, each residential owner stands to receive a payout between $2.04 million to $4.03 million, while the commercial owners could receive a payout between $529,500 to $1.2 million from the Braddell View en bloc. Under the URA Master Plan 2014, the Braddell Hill site has a 2.1 gross plot ratio and will approximately have a total gross floor area of 2.4 million square feet. According to market watchers, the future new launch condo in Braddell Hill could yield around 2,620 private homes (with a median size of 915 square feet), subjected to approval. It was noted that the last major en bloc within the area was Shunfu Ville. It was acquired by Qingjian Realty back in May 2016 for $638 million or $791 psf ppr, and the new condo is now known as JadeScape.